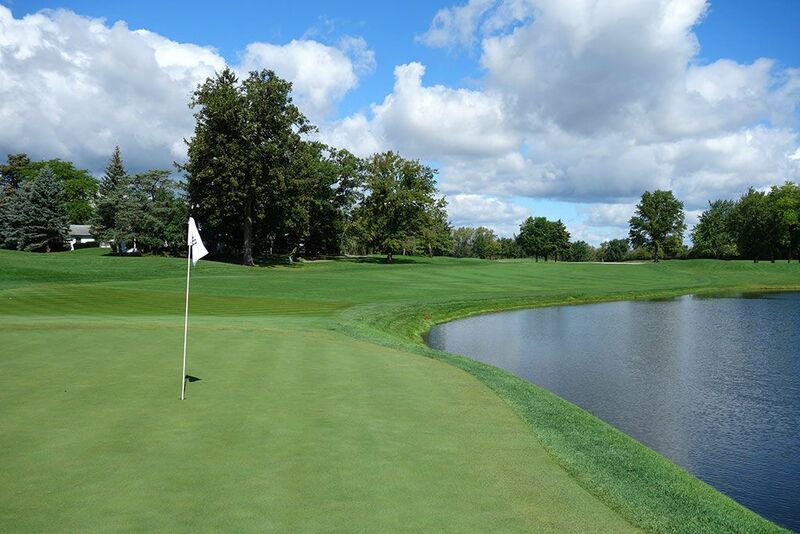 Course Website: Official Website - Visit Cog Hill Golf and Country Club (Dubsdread)'s official website by clicking on the link provided. 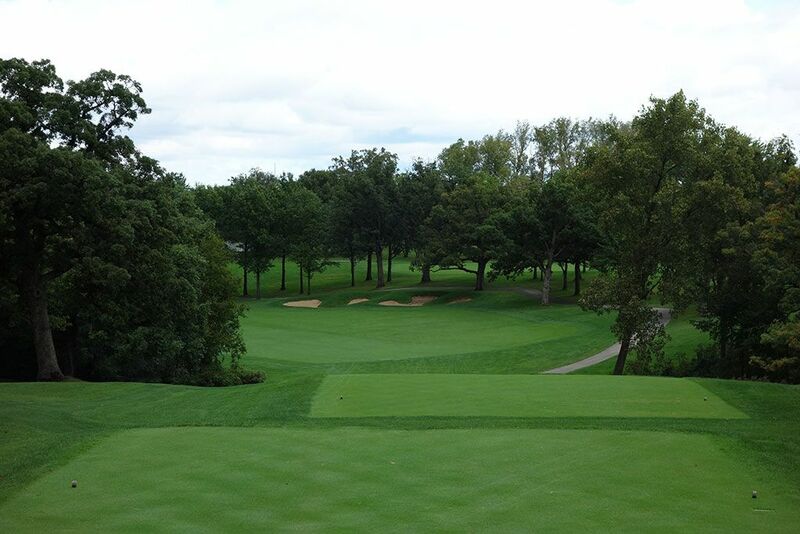 Accolades: Ranked 7th in Illinois on Golf Course Gurus' Best in State list. What to Expect: Getting its nickname "Dubsdread" due to its substantial difficulty, course No. 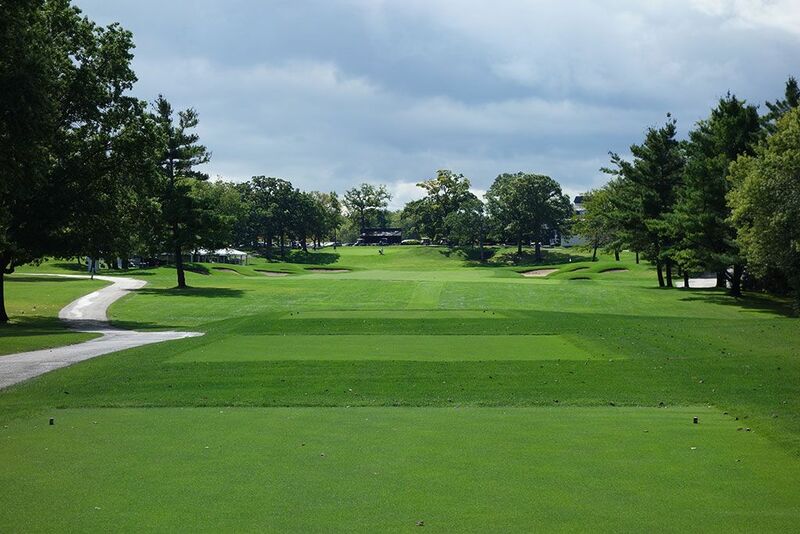 4 at Cog Hill is a perfect example of what championship golf is all about. When you play courses that the PGA Tour hits either regularly or sporadically you will often discover a handful of similar qualities. First, they are located near large metropolitan areas that can generate enough sponsorship funds to generate substantial purses for players to compete for while also being able to accommodate the thousands of visitors coming to the area. Second, the facilities at the club itself need to include a relatively large driving range and clubhouse to host the players' needs. Finally, the course itself needs to tip out long enough to challenge the best players in the world with a design where everything is "in front of you." Golfers that compete for money want to see every bunker, hazard, and landing zone that comes into play before executing a shot. They don't like blind shots off the tee or obstructed views going into the green and always want to know where the safe miss is. Funky kicks in the fairway or around the green are grounds for some players wanting to hurl their club in disgust as they see their livelihood drowning with their Titleist Pro V1. 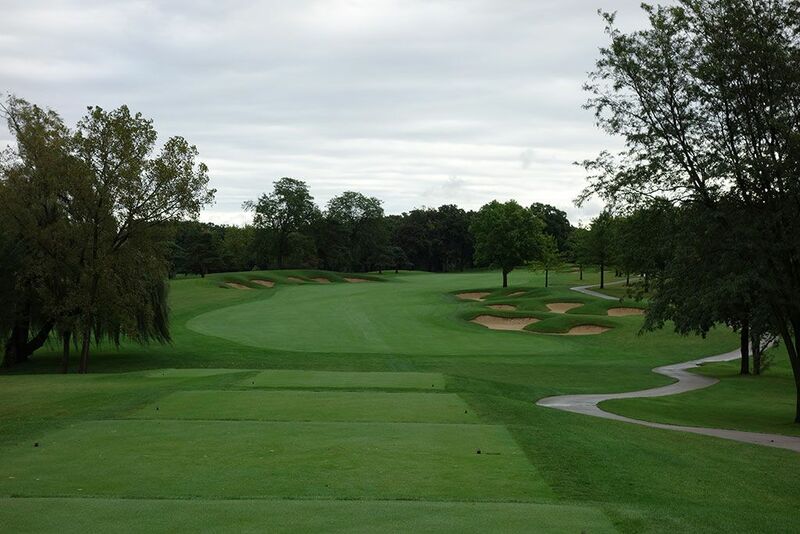 Cog Hill fits this mold beautifully with its proximity to Chicago, substantial facilities, and a course layout with no surprises. What you see is what you get at Dubsdread and what you often see if a long hole littered with bunkers, framed by trees, and occasionally featuring a water hazard. 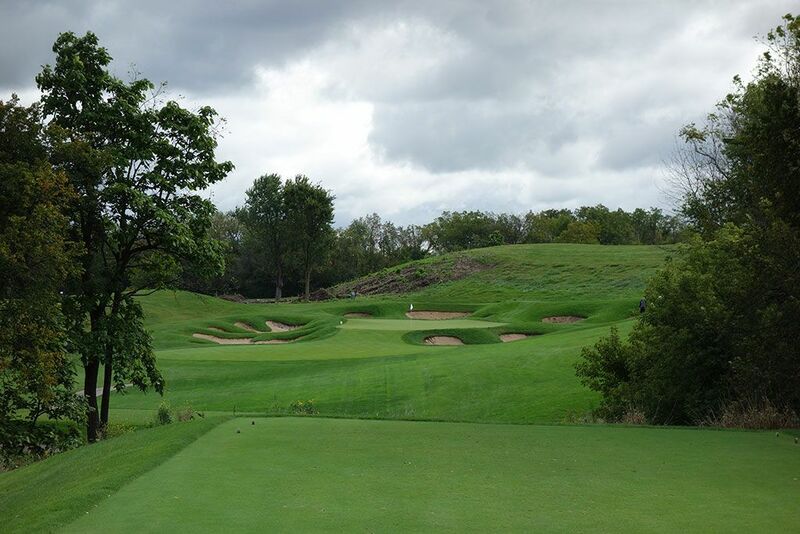 The terrain at Cog Hill features a nice combination of a few relatively flat holes along with several holes that sprawl across the rolling countryside with the back nine featuring the most impressive views and terrain on the property. 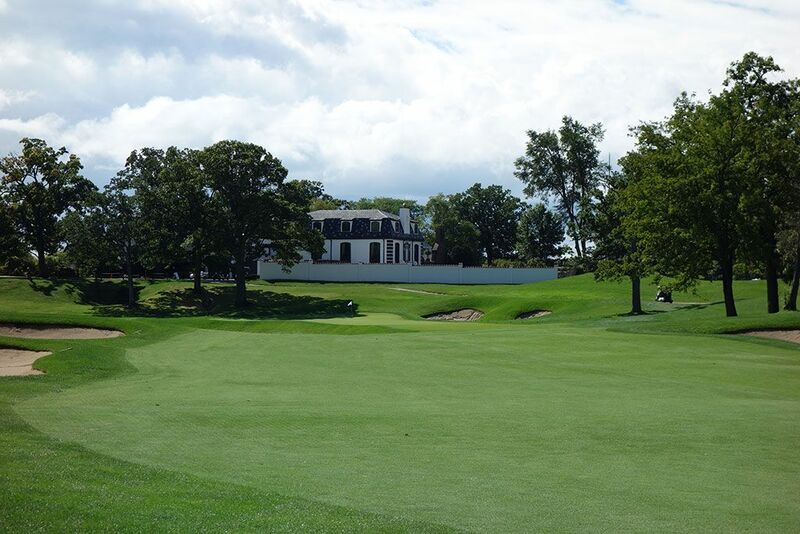 While Cog Hill isn't quite on par with the collection of courses at Bethpage, the atmosphere of the complex and overall setting is similar. Signature Hole: 16th Hole – 456 Yard Par 4 – Framed by trees on both sides and doglegging left around a ravine, the 16th hole is a shot maker's delight. 300 yards straight ahead are a pair of bunkers Which will be the target for most players from the tips, however, if you are playing two or three tee boxes up you can take your chances challenging the corner of the dogleg in an effort to leave yourself a flip wedge into the green. A pair of bunkers pinch the front of this green while going left of the putting surface will likely result in a lost ball. This is a solid risk/reward hole that is actually better enjoyed from the middle tee boxes where the temptation to cut the corner is increased and the bunkering becomes a larger factor. Best Par 3: 14th Hole – 215 Yards – Cog Hill's No.4 course suffers from featuring similar looking and playing par threes, but I found the 14th to stand out as the finest among them. Set into the neighboring hillside, the green is virtually a desert island considering how encompassing the six bunkers are that surround the putting surface. Players with eremikophobia (a fear of sand) may elect to lay up to the chipping area fronting the green in an effort to avoid the sand altogether. 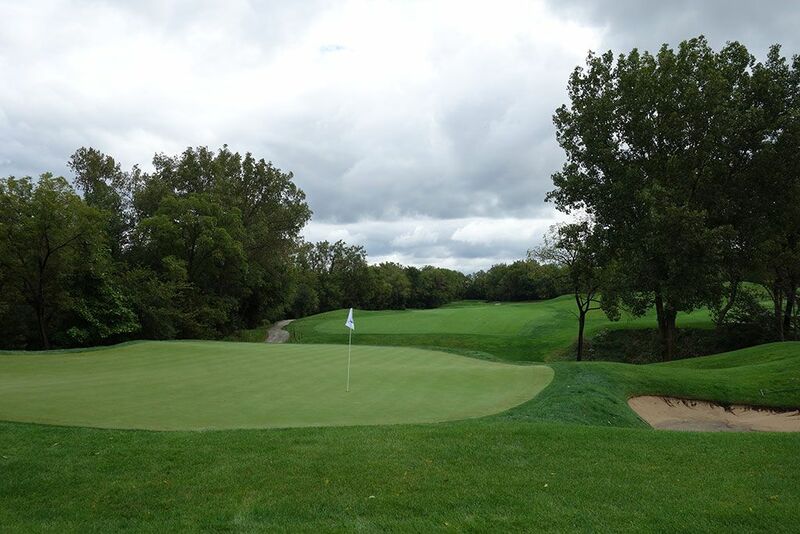 Best Par 4: 13th Hole – 480 Yards – One of the most memorable holes on Cog Hill's impressive back nine, the 13th is a straightaway par four with trouble looming at every moment. To reach the green in regulation you will need to hit the fairway off the tee with will require threading the four bunkers located around the landing zone. The fairway tilts from left to right which pushes players towards the o.b. that hugs that side of the hole. The approach shot is a challenging play to a raised green that rests on the opposite site of a ravine and is protected by a trio of bunkers. The portioned green creates some interesting pin locations and putting opportunities. Best Par 5: 9th Hole – 613 Yards – With a baker's dozen tee boxes lined up at this spot on the golf course you may be confused where to put in your peg, but the easterly six tee boxes actually belong to the 5th hole while the remaining seven belong to the 600+ yard 9th hole. Over 300 yards are needed to reach the fairway bunker on the right before the hole starts bending left on the way to the green. 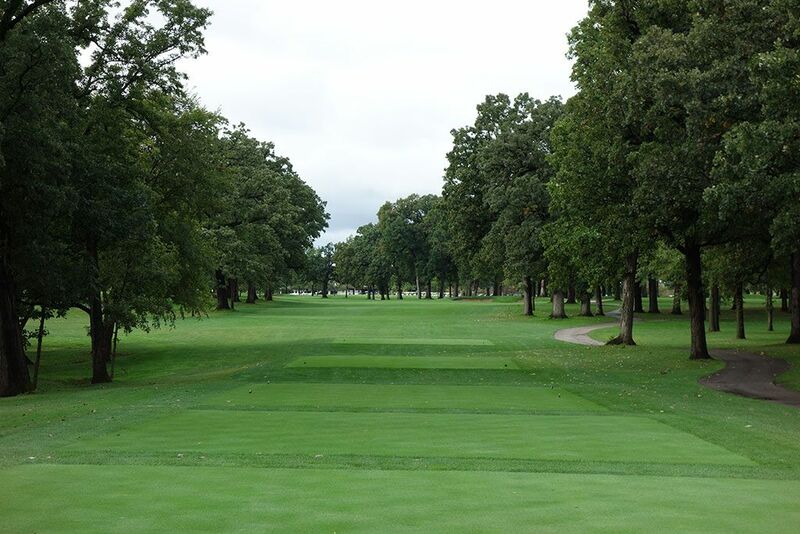 The tree lined fairway, raised green, and greenside bunkering reminded me of something you would see at Winged Foot. The key to this hole is not brute length; it is staying out of the trees and making three good swings to reach the green in regulation. Birdie Time: 5th Hole – 507 Yard Par 5 – Starting back-to-back and then traveling in the opposite direction of the longest hole on the course, the 5th hole represents the shortest par five on the course and your best chance to card a birdie. 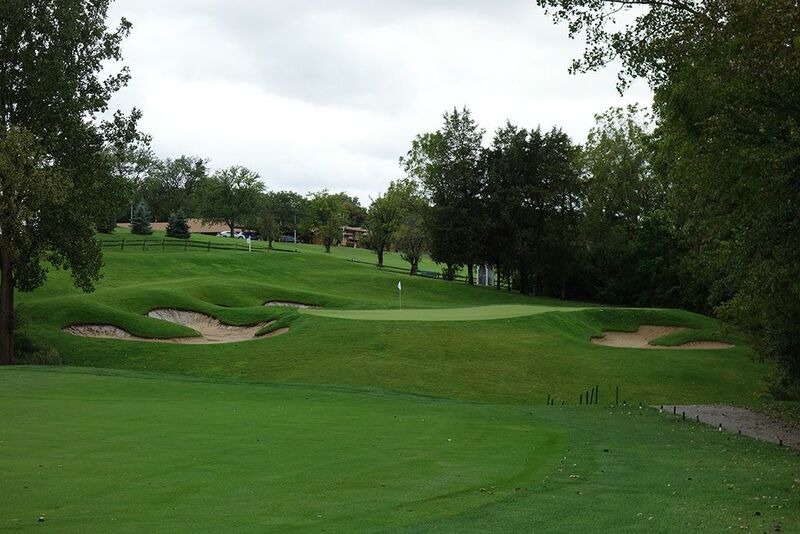 Players looking to cut the corner of this dogleg right need to carry the ball 275 yards over the bunkers and tree which opens the hole up to just a 200 yard approach shot. Though a trio of bunkers protect the green, the putting surface is pretty large for a hole that is so easily reached in two. Not walking away with a birdie here will be coughing up Â½ of a stroke to the field. 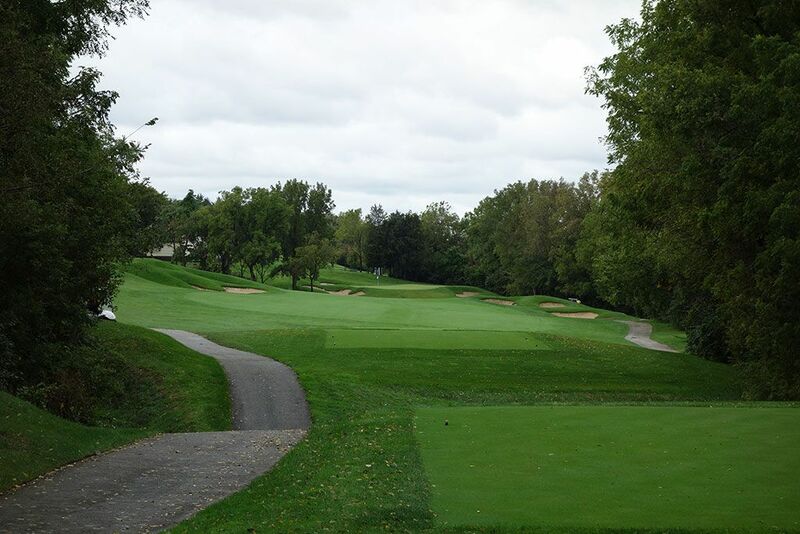 Bogey Beware: 18th Hole – 494 Yard Par 4 – This hole consistently plays the most strokes over par when the PGA Tour plays at Cog Hill which doesn't bode well for us amateurs. At nearly 500 yards from the back tee, this lengthy two-shotter requires 240 yards from the tips just to reach the fairway and then the landing area tightens with encroaching bunkers around 300 yards. The approach shot tests your nerves with water looming left of the green and a bunker waiting on the right in case you try to bail out of your swing. 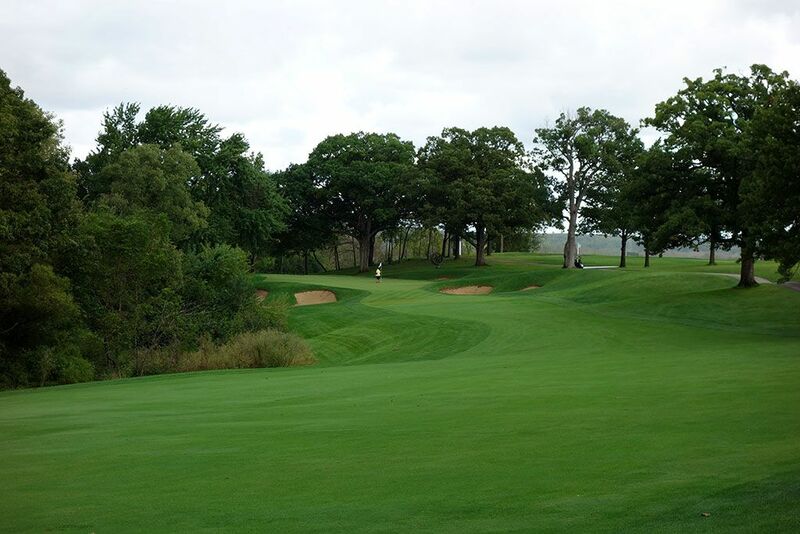 It is one of the strongest finishing holes you'll ever face and a fitting final test at one of the most difficult courses in the Midwest.